Photo by Flickr user David Jones. The world is fascinated by sports, and this fascination has become easier to explore in the age of the Internet. Every day, organizations like ESPN and Sports Illustrated generate tens of thousands of words to feed our desire for information about our favorite teams and athletes. This never-ending information surge has inevitably shaped our perceptions of famous athletes. It is no longer the norm to base opinions of athletes solely on their “on field” performances. The famous ones have all been interviewed and profiled countless times and so our opinions of them, and their characters, are based on both our observations of them in action and the carefully edited information that they release through their publicists. The ever-increasing volume of this information will cement these athletes’ legacies, deservedly or not. In the past I have absorbed the anecdotes released in athletes’ interviews, character profiles and autobiographies and watched them compete with preconceived ideas of what they are like. Instinctively, I found myself searching for signs in their behavior to match the “pre-packaged” image I had so willingly accepted just because I enjoyed watching their performances on the field. I fell easily into the tendency to impose other “good” traits on successful athletes. In light of recent scandals involving Lance Armstrong, Manti Te’o and Oscar Pistorius, there is clearly something flawed about this system of media-crafted personalities. It was so easy to link Manti Te’o’s successful play this past season with his now thoroughly documented personal life. It had seemed like he was inspired by the death of a girlfriend who is now known to never have existed. It was so easy to believe that Oscar Pistorius was a superb human being because he has overcome tremendous adversity to become the first paralympian to compete in a regular Olympic event. And regardless of whether Pistorius killed his girlfriend, it remains indisputable that he is blessed with superb physical skills and mental determination. 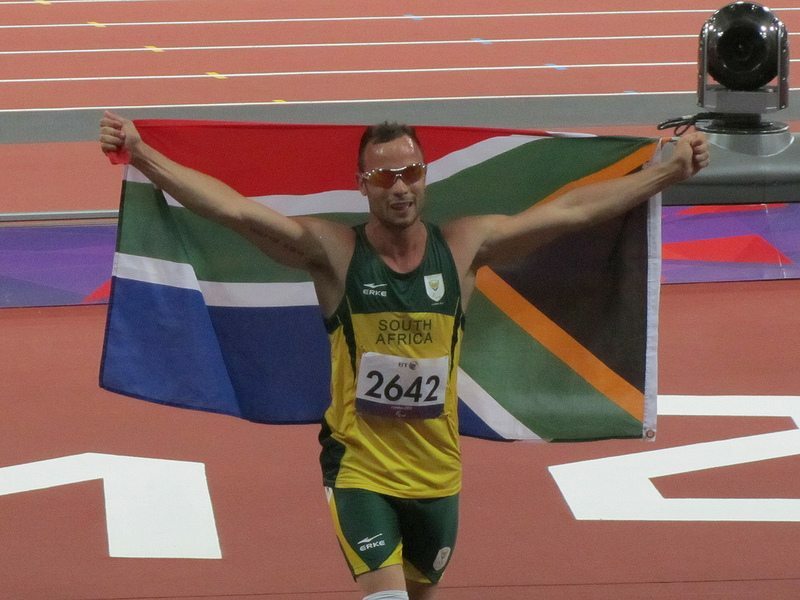 Yet somehow, perhaps as part of a desire to exploit the fascinating narrative of his athletic career, Pistorius was built up as a South African national and global hero, embodying the moral fortitude that such a title represents in our minds. I doubt that the desire to be idolized was Pistorius’s motivation to succeed. But because of the constant stream of press and publicity that his unique story generated, he did not have a choice. It is not surprising or condemnable that he would embrace such a complimentary narrative. The Pistorius case is a perfect example of the tendency to create an image of a man or woman’s character that equals his or her ability as an athlete. Whether he is guilty of the murder accusations against him, these events do give us pause to reflect on how we can filter the information that shapes our perspectives of famous athletes. No matter what we think or feel, we do not truly know these people. We see a certain part of their personality when they compete, but this does not mean they mean they embody the same characteristics in their personal lives as portrayed by the increasingly pervasive, but not necessarily more accurate, reach of today’s media. Although it is important to ask questions before making a character judgment, one could also argue that character itself should not matter that much. These athletes should be respected because they are talented and motivated; we should not forget the achievements of athletes like Pistorius and Tiger Woods, who took their sports to new levels. However, it seems natural to think less of them as athletes because of their private lives. It is far easier to condemn men like Armstrong because their successes were linked to their moral flaws. On the other end of the spectrum, there are figures like David Beckham. Beckham’s fame and prestige far outstrips his sporting achievements. Globally, he’s one of the most recognizable names and his legacy as an athlete will be magnified because of his sparkling reputation. Even in ten years time, Oscar Pistorius’s name will not conjure up images of a man running with prosthetic legs, qualifying for the semifinals of the Olympics. We will think of the death of Reeva Steenkamp. Conversely, because of Beckham’s fame and reputation, those unfamiliar with his actual achievements on the pitch will think he was one of the greatest footballers of the new millennium. In other words, the “good” traits that he embodies outside of football have lead to the imposition of similar ones onto his footballing performance. In the end, many of these athletes’ legacy will only be as good as the last series of articles written about them, and there is a strong chance that the publicists of someone Beckham will have increasing control over how this plays out. Even if people today begin to doubt whether such representations of athletes are fair, these representations determine how athletes will be remembered. It is a shame that people reflecting on our era will find it impossible to distinguish who these great achievers really were before the media glossed them into indistinguishable good or bad human beings.